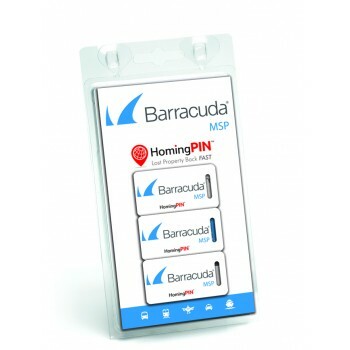 HomingPIN puts the owner and finder of lost property together, so that mislaid and lost property can be returned quicker. Losing a mobile phone, camera, tablet, laptop, passport, wallet or bicycle can ruin your day, even week! 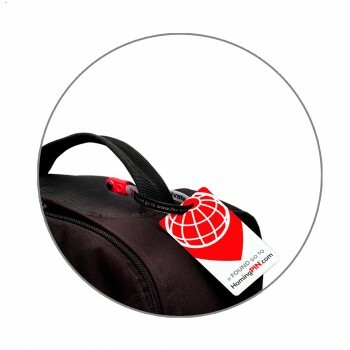 We provide baggage loops with tags, key rings and asset labels that have a unique number on them. Those numbers are activated by providing us with your mobile phone number(s) and email address. Standard Pack - protect 15 items. Includes 3 loops & tags, 12 asset labels & 1keyring ring. Beautifully branded with your company logo or message.